I signed up for the Tough Mudder April 2013 yesterday. Remember the Tough Mudder 2012? I do. The memories are rather vivid, maybe because I finished the race feeling 20 years older and looking like I was mugged and then pulled through a gauntlet. Or maybe because I still have a slight bump in my right shin from one serious bruise. Or maybe because I had so much fun. Like serious, to the core, can’t wait to do it again, adrenaline rush, pure exhaustion, fun. Yeah, there was a bit of failure ( i.e. monkey bars and rings), a bit of terror/trepidation ( 30+ leap into an ice cold quarry and electric shock that left me face down in the mud), but I experienced a lot of team work and success ( 13 mile run, 20 foot walls, quarter pipe, etc…). All of which make me excited for April. While jumping off a ledge 30+ feet above a quarry will always make my stomach enter my throat (half the fun, right?) and running 13 miles will always be my strong point in the tough mudder…beyond just finishing, this year I have a few goals to work towards. One being those damn monkey bars and secondly, I plan on leaving the quarter pipe with fewer bruises. And I will try to remember to not chug my beer at the end…talk about a lead weight in the gut, ugh! I was just so thirsty. 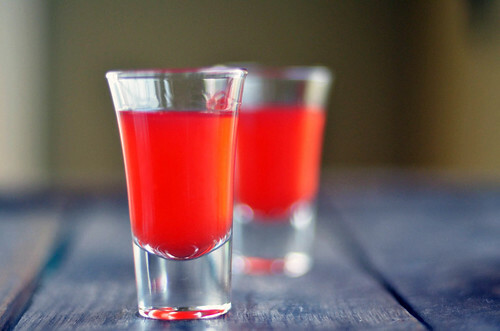 What does this have to do with strawberry infused vodka? Nothing. Zero. Zilch. Other than I should have a batch of this ready come April, post race…Anything to ease the pain, right? 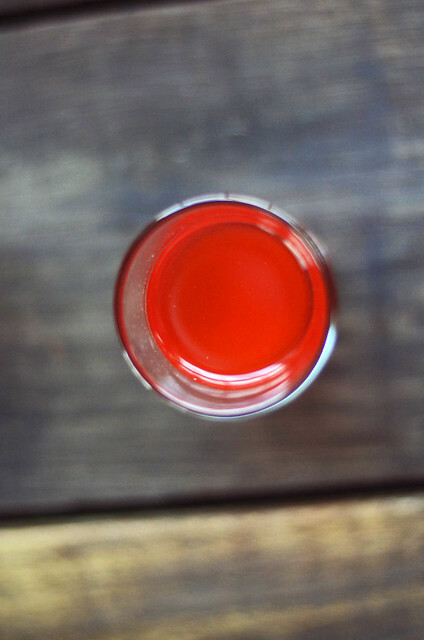 Strawberry infused vodka … I am not sure this needs an introduction or an explanation. 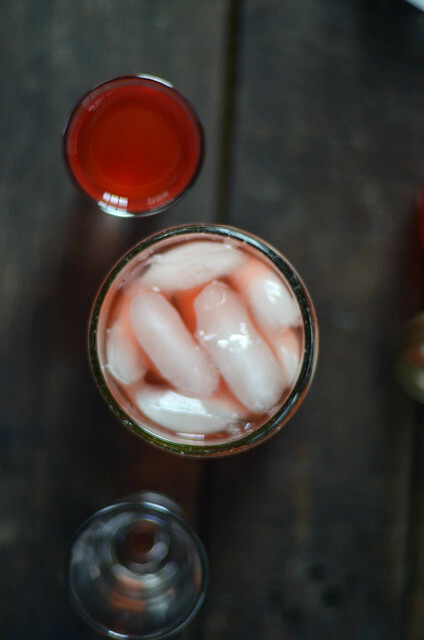 Strawberries and vodka have a tendency to speak for themselves. This will make about 3 cups of strawberry infused vodka. You can make as little or as much as you like. 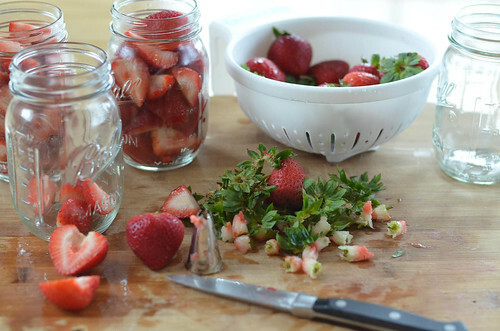 Fill mason jars with strawberries, packing them in there. 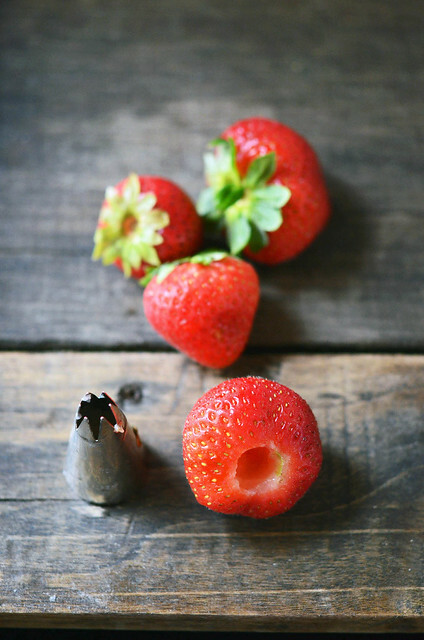 Pour vodka over strawberries, filling just below the rim. 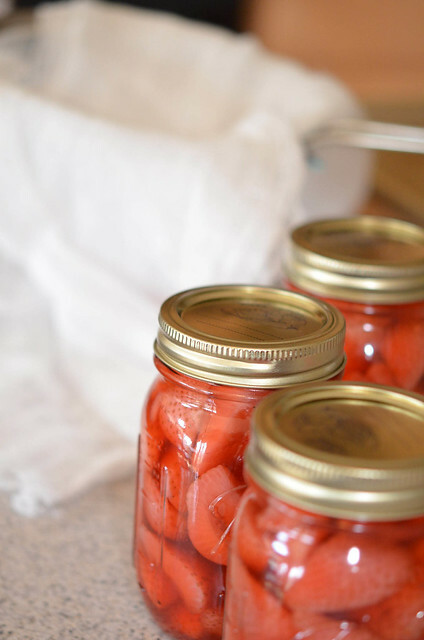 Screw lids onto mason jars and place in a dry dark place for three days, shake jars once daily. After three days, line a mesh strainer with cheese cloth and place over a large container that will hold about 3 to 4 cups of liquid. 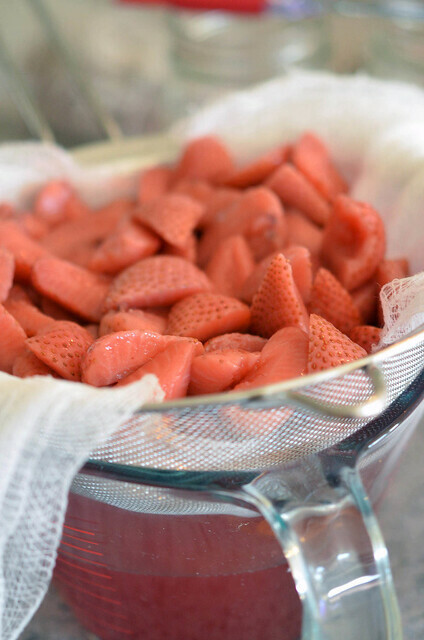 Pour strawberries and vodka into strainer. Let sit and strain for several minutes. 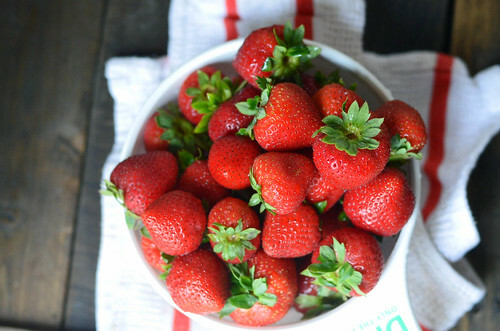 Discard strawberries. 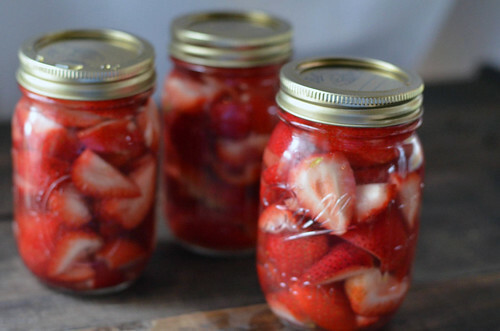 Store strawberry infused vodka in glass jars with tight fitting lids in the fridge until ready to use. 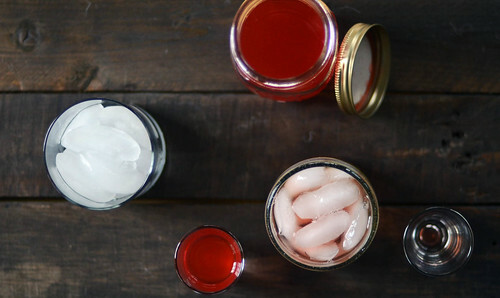 A shot or two of this, mixed with tonic water or club soda makes for a quick evening cocktail. Or mix it with your favorite lemonade. Or champagne or sparkling wine? Yeah, there is no wrong in this case.